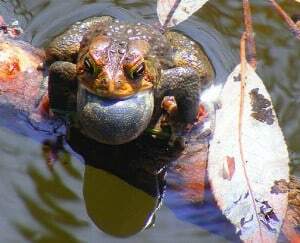 With the arrival of spring in the Kawarthas, local wetlands will soon come alive with the calls of countless frogs and toads. This annual spectacle provides a wonderful opportunity to engage with nature. 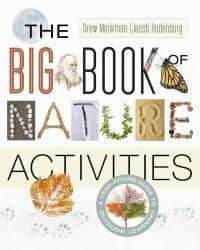 Here are three activities adapted from “The Big Book of Nature Activities” that I have written with Jacob Rodenburg, Executive Director of Camp Kawartha. The book should be available by late May or early June. Background: One of the wonders of spring is to listen to the melodious strains of an amphibian orchestra, courtesy of our local frogs and toads. Frogs sing for the same reason birds do. The males are trying to attract a mate, and many species are fighting for territory. Species like the wood and chorus frogs call in early spring, while bullfrogs and green frogs don’t start until late May or early June. to recordings of the songs by going to naturewatch.ca/frogwatch/ In the how-to-guide menu, click on “identifying frogs”. After listening to each song, ask the children to imitate it as best they can. Suggestions on how to do the imitation are given below. Decide who will perform each species, maybe based on who mimics each song best. 6. Gray treefrog – a slow, musical, bird-like trill lasting 2 to 3 seconds. Use your lips or tongue. As a conductor, you need to give clear signals to your orchestra. When you point to a frog species, it begins to sing. When you cross your hands and swipe them outwards (like a referee), they stop singing. When you raise both hands simultaneously upwards, the individual sound becomes louder. When you lower your hands, the sound becomes quieter. Begin with the wood frog, which is usually the first species to sing in the Kawarthas, and add the other frog and toads songs until all the species are singing in joyous chorus. Come to a dramatic crescendo and then fade out. You will have conducted a rendition of a wetland symphony, courtesy of your local frogs and toads! 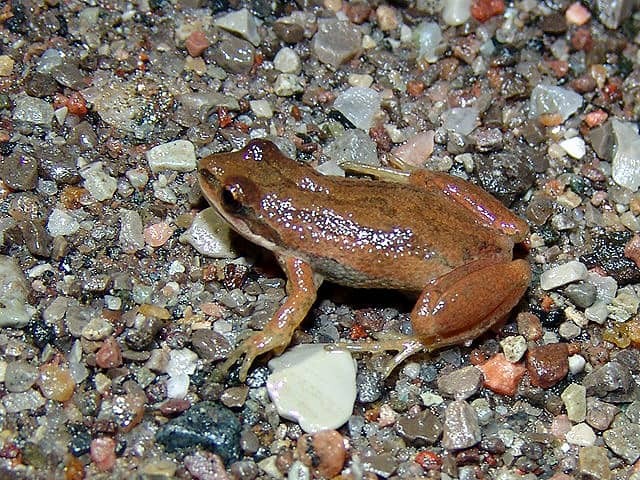 Background: The frogs of early spring usually begin calling when nighttime air temperatures have warmed to at least 8 C. Calls are usually loudest at dusk and during the first few hours of darkness. The best weather conditions for hearing a full chorus are mild, damp, windless nights that follow a period of rain. Evenings when a light rain is falling can also be excellent. These are also the conditions when many salamanders move to breeding sites. Procedure: Grab a pair of rubber boots, a strong flashlight and a camera (your smartphone will do) and try to arrive at the wetland before it gets dark. Take a few minutes to make a sound recording or video of the wetland and chorus. Try to identify the various species calling. If necessary, use an app like “Audubon Reptiles and Amphibians” or a website such as Amphibiaweb.org. Then slowly walk in the direction of the calls. When you first approach the area, you can expect all of the frogs and toads to stop calling. However, all you need to do is pick a promising spot and wait. Eventually the calling will start again. Softly rubbing two stones together or whistling an imitation of a call will sometimes jump-start the chorus. Try to pinpoint the calls of one individual and shine your flashlight in that direction. Scan the water, the floating plant debris and the lower stems of the vegetation. 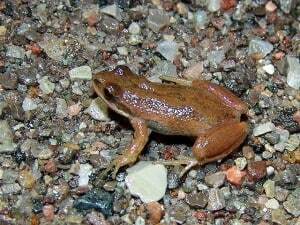 Remember that many species such as chorus frogs are only the size of bumblebees and drably colored. They are often easiest to find by looking for the shiny throat sac moving in and out with every call. Some species such as wood frogs might be floating on the water itself. Their vocal sacs are actually on the sides of the body. If you are close enough, take some pictures, either with a flash or by having another person shine the flashlight on the frog. You can always try to slowly move in closer for a better look as well. 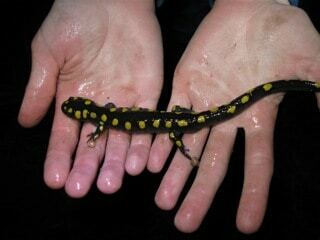 There is also a good chance that salamanders will be on the move. They are most easily seen by driving slowly along back roads that pass through low, swampy woodlands or where there are flooded ditches adjacent to the woods. By watching carefully, you may be able to see the salamanders on the road. You should then park your car and get out and walk. Take time to photograph some of these beautiful animals. Shine the flashlight on some of the roadside pools, as well. If you are lucky, you may see salamanders mating in a sort of underwater dance. Background: Raising toads allows you to see one of nature’s most amazing magic tricks: the complete metamorphosis of an amphibian from egg to adult. Some key milestones to look at are: the tiny gills of young tadpoles, the small bumps that appear on both sides of the tadpole near the base of the tail, the appearance of the hind legs and then the front legs, the gradual disappearance of the tail, and the change in the shape of the mouth as it gradually widens. Note: It is much more difficult to raise frogs to the adult stage. However, if you cannot find toad eggs, use frog eggs instead, but return the tadpoles to their pond of origin when the legs appear. Frog eggs look like a floating jelly-covered mass. Procedure: In spring, when the toads are calling, look for long strings of jelly-covered toad eggs in the vegetation of small ponds and flooded ditches. Reach into the water and take or break off a string of a dozen or so eggs. If you have too many tadpoles, the larger ones will eat the smaller ones. Put the eggs in a pail with about 15 centimetres of pond water. At home or in the classroom, place the pail in a bright area but not in direct sunlight. Keep a hand lens and a small plastic viewing bottle beside the pail to look at the eggs and tadpoles as they develop. The eggs should hatch in 3 -12 days. Notice the external gills on the tadpoles. They will become internal after a few days. Tadpoles eat tiny algae in pond water, so change half the water twice a week, using water from the same pond (never use tap water). Bits of boiled lettuce or hard-boiled egg can also be fed to the tadpoles. Remove any old food before adding more. When the tadpoles start to develop legs (hind legs first), add some pieces of bark so they can climb out of the water. After about two months when their tails disappear, you will need to move the tiny toads to a terrarium. Make sure there are pieces of loose bark, twigs and stones for the toads to hide under. Having plants in the terrarium is not necessary. Place a shallow bowl of pond water flush with the soil at one end of the aquarium. Add a few small stones to the bowl. Continue to put in fresh pond water twice a week. Place 4-5 toads in the terrarium and return the rest to the pond. Tape a screen to the top of the terrarium to keep the toads from escaping. Try feeding your toads the smallest insects available at the pet store such as tiny crickets and mealworms. You can also try giving them the smallest earthworms you can find. After a week or so – sooner if they won’t eat – return the toads to the edge of the pond where they came from. Be sure to take lots of pictures (e.g., the pond, the eggs in the water, eggs at home, newborn tadpoles, etc.) of each stage of the show. Make notes and sketches, too, in your nature journal and don’t forget to make regular use of your hand lens.